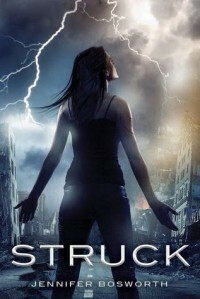 Struck revolves around a young girl, Mia, who is a lightning addict. After a devastating earthquake tears through Los Angeles, thousands are have died and others are left homeless and starving. The book did make an interesting point about how the government was too busy saving the world to save their own citizens. Two warring cults, The Followers and the Seekers, compete for control over the city. The Followers are lead by The Prophet, a psychotic man who believed God was speaking directly to him that Judgment Day is approaching. The Seekers, while Mia spends more time with them, less is known about them.Overall, this novel was very cliche and the writing was cheesy at times. I didn’t really feel the chemistry between Mia and Jeremy and it felt forced at times. 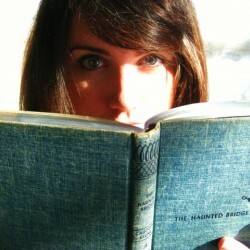 Mia was frustrating throughout the novel as well. Personally, if I thought someone was standing next to me with a knife, my first thought would not be “Oh I must be dreaming,” and go back to bed. Nope, my eyes would immediately fly open, I would wake in a panic, check all the windows and doors in my house, and then try (unsuccessfully) to go back to bed. She was also naive at times. She thought her mother should be in a psych ward with 24/7 supervision, but in the aftermath of emergencies, I find this highly unlikely. Yes, many will probably suffer from some form of post-traumatic stress disorder, but they will not have the means to receive the help needed. She didn’t seem to know what she wanted at times. She would ask to be saved, but then when she is she was cranky and sarcastic about it.The book did have some surprisingly good action sequences. The last bit of the novel was pretty much all action, but didn’t end abruptly, which I find a lot of books do.